美食黑洞 nice food black hole: 曼谷自由行 Day 3：道地泰國餐，泳池派對和更多美食 local thaifood restaurant, pool party! 曼谷自由行 Day 3：道地泰國餐，泳池派對和更多美食 local thaifood restaurant, pool party! Bangkok free & easy trip 2016 Day 3: Local thaifood restaurant, the Pool party that you can’t missed in Salsa Bangkok Fiesta 2016, and palm 18 restaurant at sukhumvit 18. Bangkok trip Day 3，same as usual, we woke up quite late in the noon and we going to find the restaurant that I have been there before 2 years ago, so luckily I tagged the restaurant in my previous post, otherwise, I won’t remember what is the name of the restaurant, thanks facebook. It is called IM CHAN restaurant which is located at Sukhumvit 39 which is just 15mins away from our hotel by walking. We ordered the best Lime sauces steam fish, Panang chicken(which is we randomly chose), fried oyster and tomyum soup, the lime fish is the best among all the dishes, the sourness of the lime sauces and spiciness are just nice, the fish is very fresh. 2nd best I will say is Panang chicken, it tastes like dried tomyum, but the chicken meat is a bit dry, maybe because they using chicken breast meat to cook. If you come to attend Salsa Bangkok fiesta, one thing you can’t missed is the pool party on the 3rd day noon, girls are wearing bikini and salsa/bachata with you near the pool, sometime even inside the pool itself. You will like it. At night after the pool party, we just went to the nearest restaurant which is just located opposite our hotel, called Palm 18 restaurant. We ordered a lot of food like green curry, Pad Thai, fried squid, fried glass noodle, American fried rice and of course coconuts. Tonight is the last day of the social party so we danced until it closed at 2.30am. 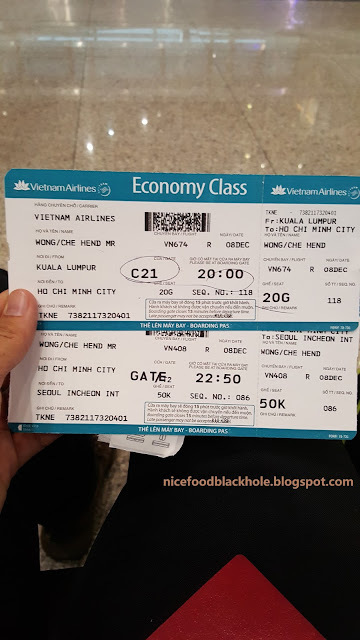 This Bangkok free & easy trip not just participate in salsa Bangkok fiesta 2016 but also taste the local food, street food and thai food, really thanks to all of my friends, you all make my trip so memorable, video can keep the happy moment of the trip, we will still can remember the happy moment when we re-watch again this video in the future, and you will still smile like previous. Next trip Japan trip in January , Tokyo, Osaka, Kyoto, Nagano and etc! stay Tunned!